Without you The Peace Centre is nothing. 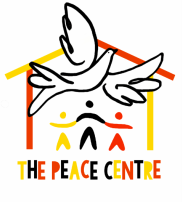 Many people, students and adults, have contributed generously to the building and running of The Peace Centre by taking on a challenge and being sponsored for it. Why not join them? Take on your own challenge to help fundraise. Thank you to everyone who has done a bake sale, running an 8K in a ridiculous animal costume, held a non-uniform day, shot basketball hoops for 5 hours, completed a sponsored silence, done a skipathon, a readathon or even a moronathon. Because every last penny of money raised goes directly into the community in Bukinda, these have all contributed to the massive change in the lives of children who would otherwise be without family, without schooling, and digging the fields in order to survive. Be inspired. Check out some ideas below from previous fundraising initiatives. 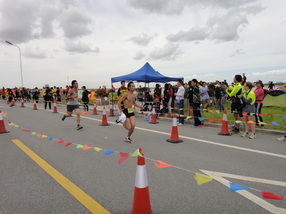 Mike Shkurka ran 150km in 24 hours as part of the Shanghai Moronathon. Most people do this event as a team relay race, but Mike put in a truly incredible solo effort to raise funds for The Peace Centre. Andy Clapperton cycled 2006km in just a fortnight through mountainous northern Laos in 2013. He raised £1600 through his superhuman (and slightly crazy!) efforts. Check out a video of the ride at www.zi-xing.com. How much money do you spend each day? A group of students challenged themselves to forego all luxuries and live life on the poverty line for a week in an experience that developed understanding and empathy. Want to take part in a challenge event? There are a whole host of different challenge events that you can sign up to participate in if you don't want to run your own. Have a look below for some examples of these, or simply find one that is happening near you, wherever in the world that happens to be! ​* Walk or run 106km of the beautiful Isle of Wight coastal path starting on 30 April 2016. If you are interested in taking part in or running your own TPC fundraising event, we are here to help you. Whether it is a sponsored silence or an ultramarathon, please feel free to get in touch with us if you would like some guidance on any aspect of your fundraising - publicity and maximising your sponsorship, preparation for an event, the best ways to collect money, etc. Find out about where your money goes!